Yes, you. That’s who I am talking too. 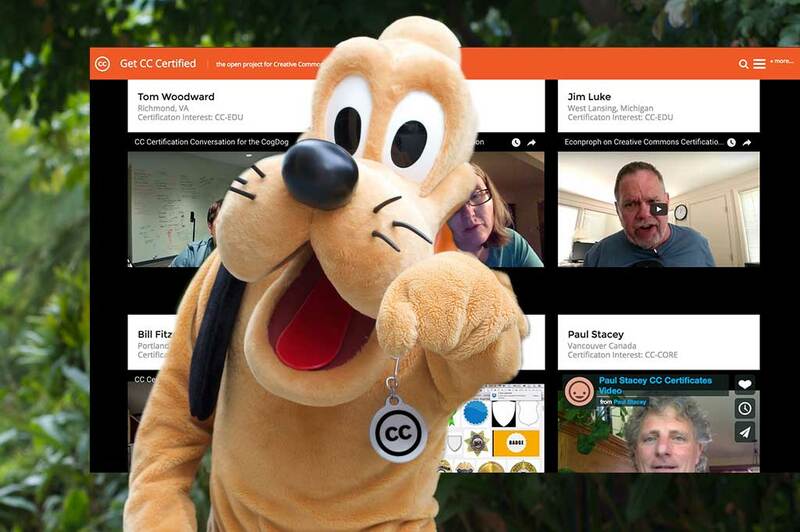 I put out this idea a few weeks ago asking people to do an imagination exercise to tell us first what place a Creative Commons Certification might have for them, and how they might envision such a thing working. To me, it’s an interesting approach in this design phase; specifically, I like to get people’s ideas before I try to explain the project, so they are truly doing a visualizing exercise. I’m really excited with the seventeen videos that have already come in, and they are already informing our process (that future post is yours, Paul!). And its certainly valid when people tell us they cannot see a value themselves for a certificate. We want to hear that too. But I’m never satisfied with 17. I bet I get at least twice as many retweets and mentions of it. Some people have told me privately that “others have responded more elegantly” or “what are you looking for?”. What I want is no important, we want to hear your ideas. And I really hope this can go out beyond the people in my contact circles. So if you do not do one, could you ask a colleague? We need people who can pipe in too on the Library and Government perspectives too. What? You don’t want to be on camera? You do not have too. Others have done voice over videos. Or you could even submit an audio shared to SoundCloud. All the info and a friendly little web form are waiting for you at https://certificates.creativecommons.org/what-if/add/. For those that care about such things, the form is driven by the Gravity Forms WordPress plugin– I am a big fan of this tool, and the ways I can customize what it does, way beyond feedback forms. This acts as a moderation filter, so on getting notice of a new video (e.g. THE ONE YOU WILL SEND ME TODAY? ), I can preview it, and then edit the gravity form data to toggle it to “yes”. I did a bit of custom templating to create the gallery view; because this project is that open, you can find the page template code on our GitHub repo for the theme for this site. More or less, it uses the Gravity Form API functions to get all active form responses, and then loads into an array all ones that have the value of “yes” for verified. I then deploy a tricky PHP move to pull six array items out and random, these are displayed as embeds (because WordPress has automatic video embedding chops), while the full list is displayed at the bottom. On that bottom, I use the WP Video Lightbox plugin to display YouTube or vimeo content in an overlay on the page. Hold the phone, I am going deep in technical details (I’m kind of proud of how it works, I always learn new stuff when setting these things up). What will it take to have toy do a video for us? Or do some arm twisting for us? It’s not for me, it’s to help us shape this project. Stop reading this, and do a quick video, ok? Go! Top / Featured Image: Remix of a flickr photo… that ironically is mine! I started by searching Google Images for open licensed photos of “wants you” and somehow I found my own photo. The flickr photo by cogdogblog https://flickr.com/photos/cogdog/4693089024 shared under a Creative Commons (BY) license.